I already declared my love for Silk almondmilk in this post, but now I have even one more reason to love it! 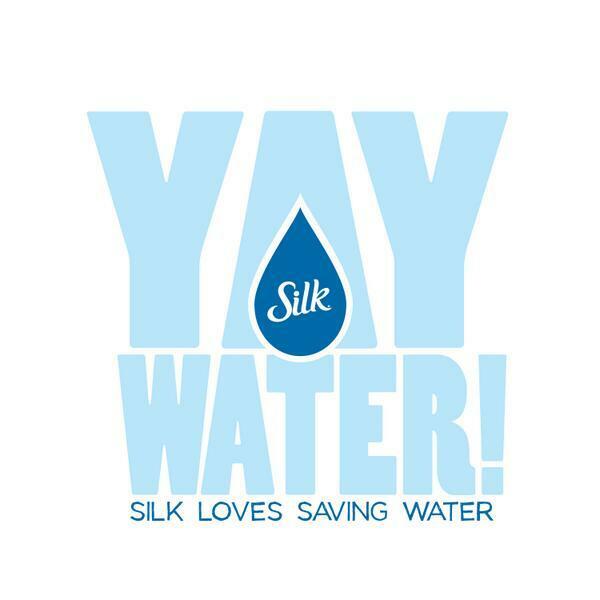 I recently learned that switching to Silk once a week (instead of regular cow milk) will save over 26,000 gallons of water in a year!! Say what?!?!? I had no idea. Here's the deal. It's easier and takes less water to produce a gallon of almondmilk than to feed/nurture the cow and associated pasture and barn to create the same amount of dairy milk.So it turns out switching to Silk almondmilk is good for your body AND the Earth! Made with creamy dark chocolate almondmilk and zero eggs, this is truly a brownie batter you can eat with a spoon (if you so choose!). 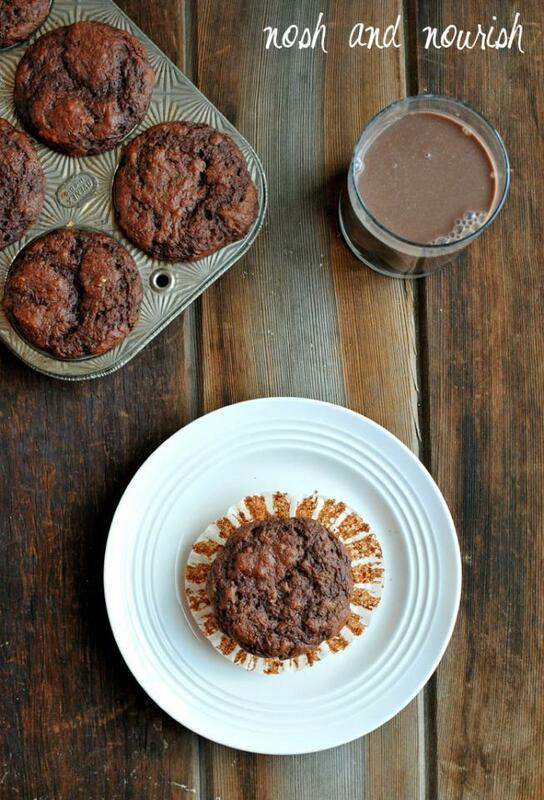 But I have to say, it's pretty amazing in muffin form too! Some chocolate milks can have as many as 30g of sugar per serving, but Silk Dark Chocolate Almondmilk only has 17g of sugar! And just for reference, regular cow milk has 12g of sugar per serving. *Or sub regular eggs (not vegan) instead of the flax eggs. **The batter is very thick, but bakes up perfectly! So don't be alarmed. Combine flax and warm water. Then refrigerate for 15 minutes. Combine all ingredients (including chilled flax mixture) into a medium mixing bowl. 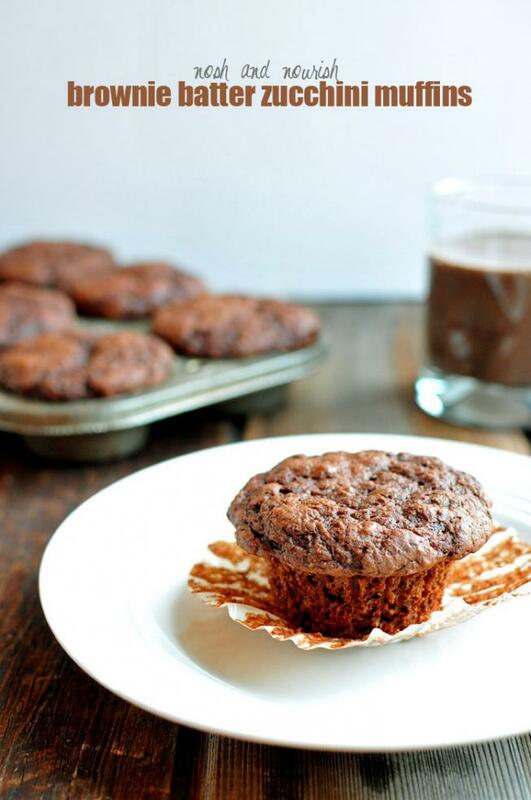 Use non-stick spray or coconut oil to grease a muffin tin. Fill the muffin cups 3/4 full with muffin batter. 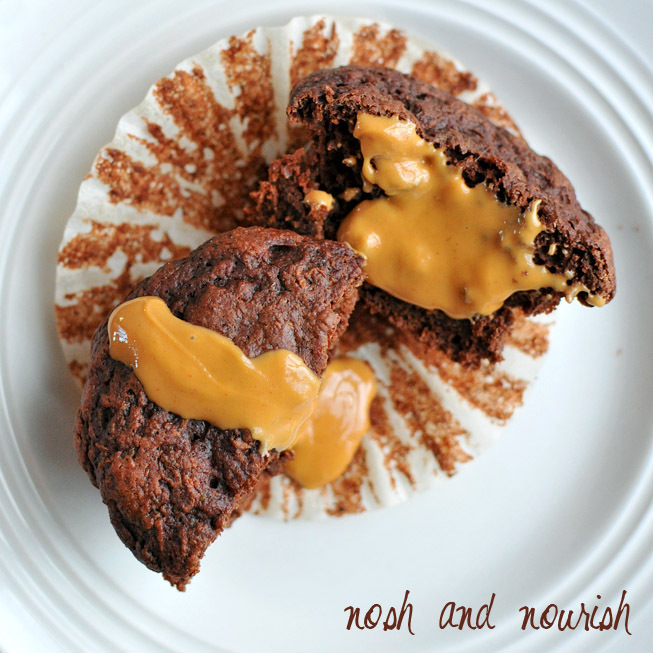 Smear with vegan butter or your favorite nut butter (optional).